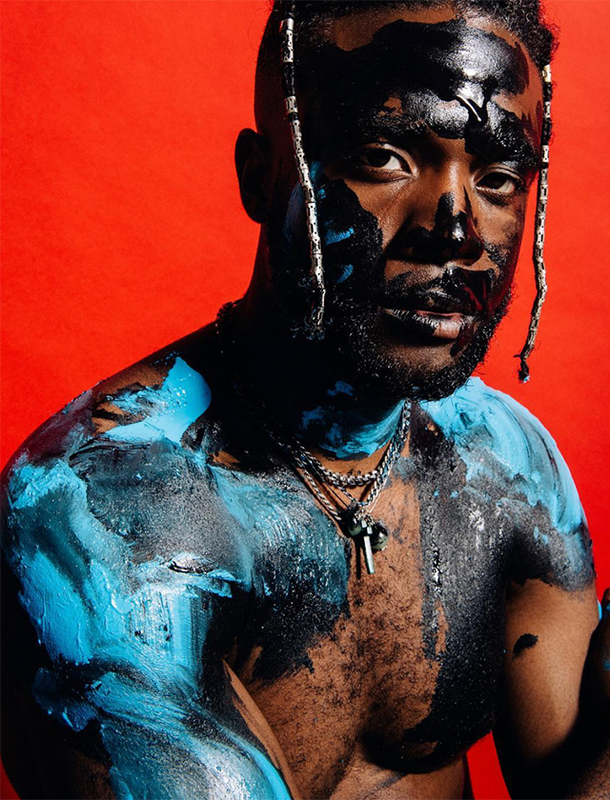 “GIANNI LEE IS THE MODERN-DAY BASQUIAT” (I-D MAGAZINE) – A VISUAL ARTIST, FASHION DESIGNER, AND DJ, RAISED IN WEST PHILLY AND CURRENTLY BI-COASTAL BETWEEN HIS STUDIOS IN LOS ANGELES AND NEW YORK. 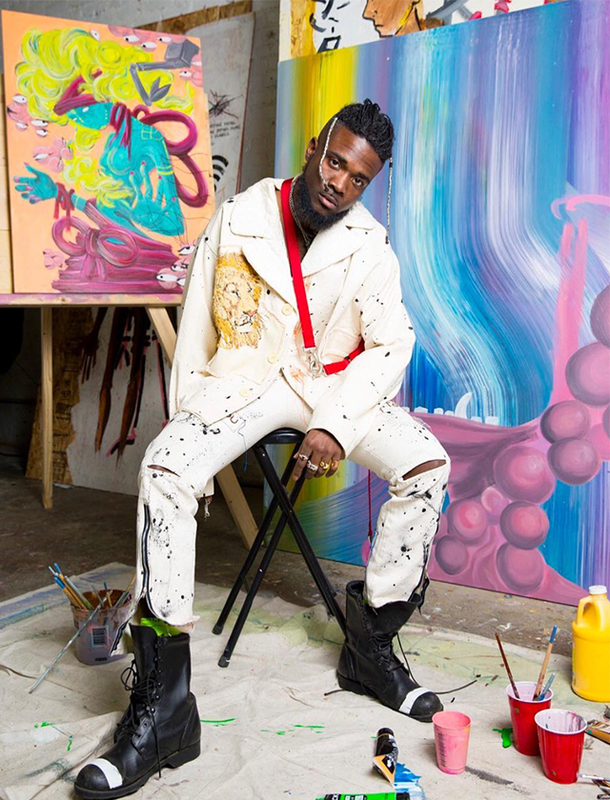 GIANNI STUDIED COMMUNICATIONS & BROADCASTING AT TEMPLE UNIVERSITY, AMASSED A FOLLOWING AS A CLUB PROMOTER AND DJ, AND BEGAN PAINTING TO EXPRESS WHAT HE COULDN’T WITH HIS MUSIC. HE USES PAINTING AS A LANGUAGE TO TELL STORIES OF PEOPLE FIGHTING FOR THEIR HOMES AND EXISTENCE. THE STORIES TAKE PLACE IN A DISTANT DYSTOPIAN FUTURE. THE STORIES SPEAK ABOUT SOCIAL ISSUES IN AMERICA AND ABROAD, INCLUDING SUICIDE, RACISM, CAPITALISM, DISEASE, PTSD, FATHERHOOD, AND THE BLACK MALE. HIS GOAL IS TO RELAY A MESSAGE OF STRENGTH, RESPONSIBILITY, ACCOUNTABILITY, AND SOLUTION. HIS HOPE IS THAT PEOPLE WILL FIND COURAGE IN THE WAY THAT HE SPEAKS THROUGH ART. 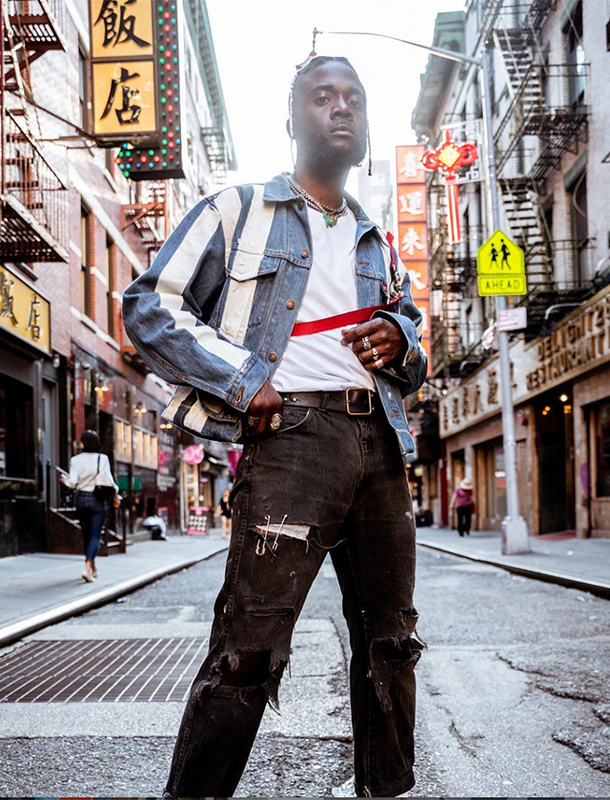 HIS FASHION BRAND, BABYLON CARTEL, HAS BEEN SEEN ON JADEN SMITH, RIHANNA, AND YOUNG THUG. 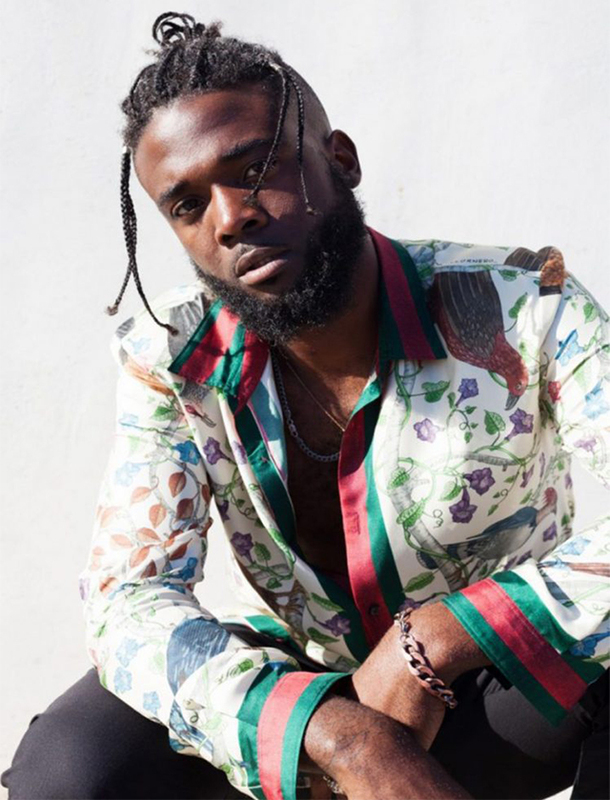 AS A DJ, GIANNI WON THE FIRST ANNUAL VFILES DJ CHAMPIONSHIP. 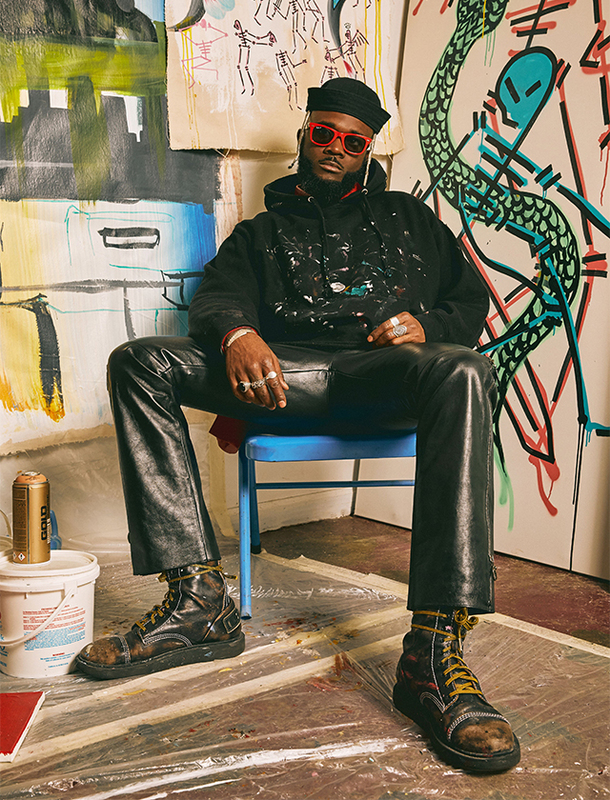 HE’S A REGULAR AT NYFW, ART BASEL IN MIAMI, AND IN UNDERGROUND SCENES YOU WOULDN’T KNOW ABOUT. WITH ALL THE ATTENTION, GIANNI HAS BECOME AN IN-DEMAND MODEL AND SOUGHT AFTER COLLABORATOR. 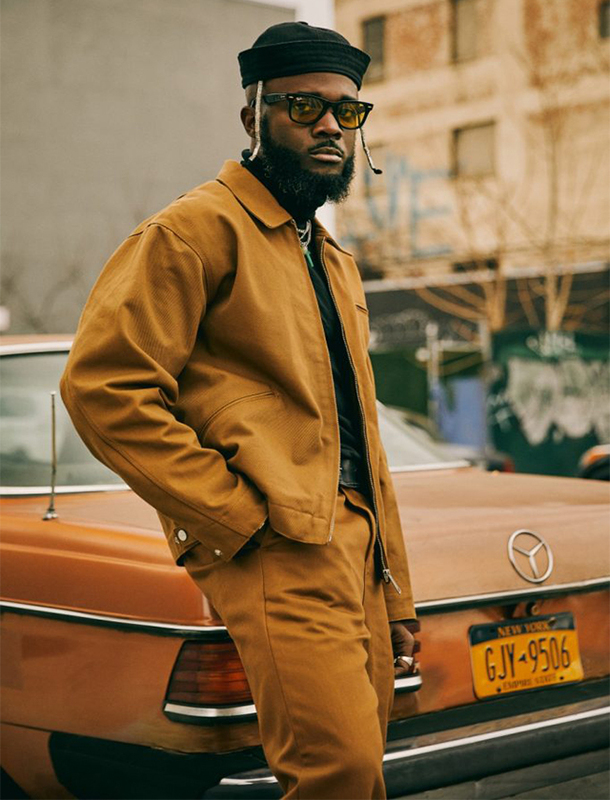 WHETHER THROUGH ART, DESIGN, MUSIC, OR A COMBINATION OF, HE HAS WORKED WITH THE LIKES OF NIKE, UGG, KENNETH COLE, TRUE RELIGION, HENNESSY, AND RED BULL, TO NAME JUST A FEW.